Peel out mango, cut and blend it. Mango pulp is ready .keep aside. Slice the pistachio, almond, and cashew nut. Keep aside. Take mixing bowl put hung curd into the bowl and Blend/whisk the hung curd. 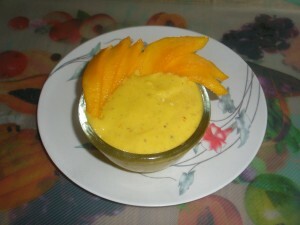 Pour mango pulp and blend it again so that it mixes well. Add sugar, cardamom powder, pistachio, almond and cashew nut and mix well. Chill this into refrigerator for minimum 2-3 hours. curd/yogurt should not be sour. 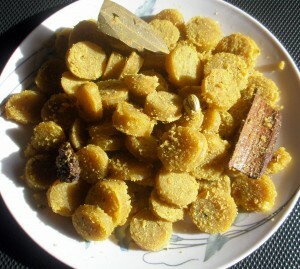 Take Mawa, powder sugar, pinch of cardamom powder, and few saffron threads in a mixer jar and mix well.Keep aside. Take a large pan; pour sugar as well as water in it. Add cardamom powder and saffron it and bring it to boil. Let the syrup boil for 3-4 minutes. Add rose essence, saffron thread and cardamom powder in the syrup. Sieve Maida, milk powder and Meetha soda together. 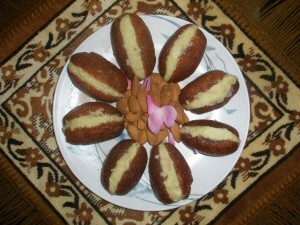 Take a big mixing bowl; put the mixture of milk powder, Maida & baking powder and ghee, mix well by rubbing between palms. Mix well and prepare smooth dough with the help of water. Make the dough soft just like chapatti. Divide the dough in to 25- 30 pieces. Give cylindrical shape to all pieces. Deep fry on very low flame all pieces in batches of 8 t0 ten. Slowly Gulabjamun will rise and float. Fry till it become chocolate brown in color no need to shake Keep it aside and cool to room temperature. Put fried Gulabjamun in lukewarm sugar syrup. Keep it about 4-5 hours. Take out all Gulabjamun from the syrup and put it on the shiver, so that all the Gulabjamun become dry. Now slit the Gulabjamun in the center and smear Mawa mixture in the centre and topped up the other part. 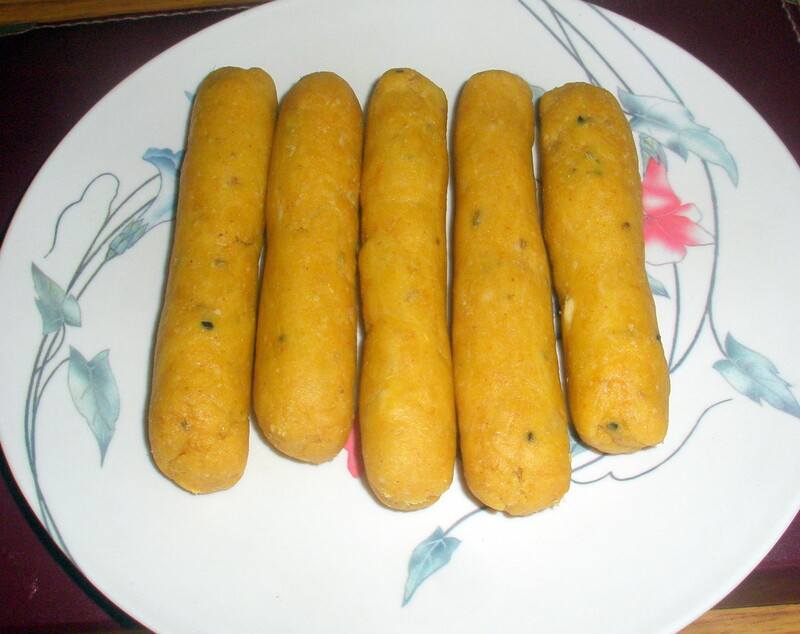 Sandwich Gulabjamun is ready to serve. Note: Gulabjamun should not be fried on high flame; it will become hard and remain uncooked in centre. Decorate with sliced almond and pistachios. Cut one onion into pieces and make paste. Keep aside. Cut another onion and keep aside. Take a small fry pan.Put 1 teaspoon oil in it, when smoke begins to come, add half teaspoon cumin seed, black cardamom, black pepper and bay leaf, fry till it becomes brown in color. Keep aside. After frying, grind to make powder. 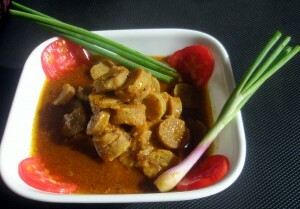 Put again 3 tablespoon of oil, when smoke is coming put cut onion, ginger and garlic and fry it till onion becomes transparent, add tomato and grind to make paste. Keep aside. 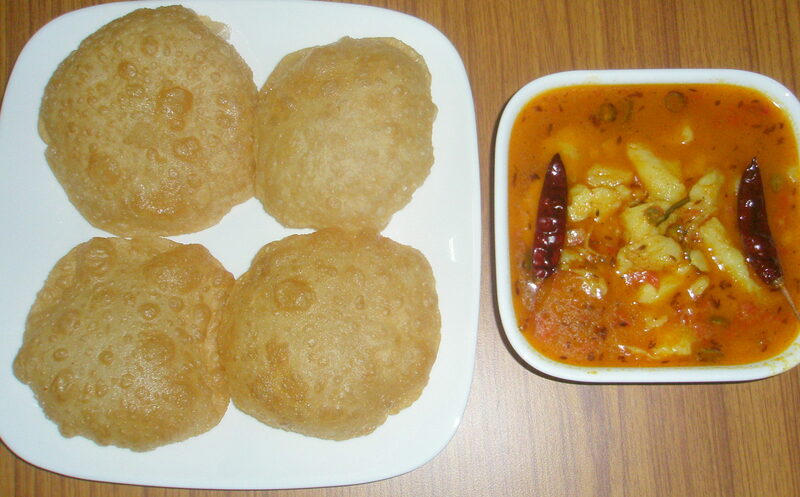 Take one big ball, put Besan, 1 tea spoon salt, 5 tablespoon oil, and onion and garlic paste, Ajwain, Kalonji, pinch of baking soda make the dough with the required quantity of water and make it like roti dough. Boil 5 cups of water. Put all rolls into the boiling water in the medium flame and boil it near about 10 minutes. Then remove it from the water and let it cool. Take a fry pan and heat 50 gm oil, when it starts to smoke add boiled gatte in it. Shallow fry this, and remove from the fry pan. Keep the fry pan on the flame. Pour 100gm of oil. After heating add bay leaf cumin seed, add masala paste, and fry it on lower heat till oil separates from the masala. Stir occasionally. Add half spoon of salt, chili powder, coriander powder and turmeric powder. Fry it near about 10 minutes. Add 2 cup of water slowly. Allow to boil for some time, add Garam masala powder and butter. Cover the lid and put off the flame. Rest it for 5 minutes. Now gatte ki sabzi is ready to serve. Serve this with plane rice or missie roti. Beat the curd properly by hand blender or spoon, make it smooth. Cut the tomato and green chilly in very small pieces. Peel and crush the potato with hand, so that we get the uneven shape of potato. Take kadhai, heat ghee till smoke appears. Add cumin seed, asafetida powder and sputter it for few seconds. Add ginger and tomato and stir it. Fry this on lower flame till liquid dries up. Add salt, turmeric powder, chili powder and coriander powder. Fry till tomato is done and ghee separates from the masala. Add one cup of water and let it boil for 2 minutes. Add crushed potatoes and boil it. Add beaten curd slowly at low heat. Stir continuously and bring it to boil. Note: don’t heat curd mixture too long. 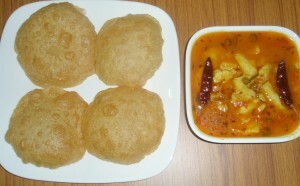 Serve hot.with plane poori or Palak poori. Mash banana properly along with milk with the help of hand blender/ grinder. Pour into a big bowl add remaining “ingredients for batter” together and make smooth batter (free flowing batter not thick not thin). Leave the batter for an hour or two. Make one string of sugar syrup (2cup sugar and 1 cup water bring it to boil and let it cook for 3-5 minutes). Add saffron and green cardamom powder. Let it come to room temperature and is ready. 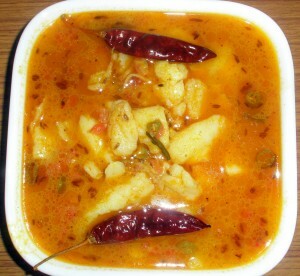 Heat the Ghee on medium flame, after four to six minutes when it is hot pour a drop of batter. The batter should come up after few seconds, if does not, allow heating further and check proper temperature by putting a drop of batter. 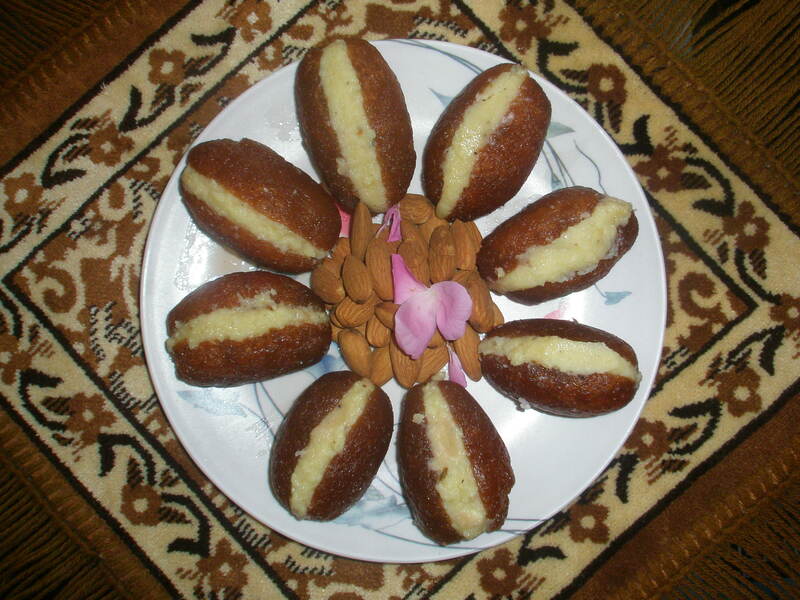 Pour a ladle full of batter to form it 3”diameter “Malpua”. Cook on slows to medium heat. Turn it over, when it starts to color slightly. Cook till golden brown and both sides done. Put directly into sugar syrup. Drain and immerse into sugar syrup. Remove after 2-3 minutes and drain on wire sieve. Garnish with thin slices almond or pistachio. 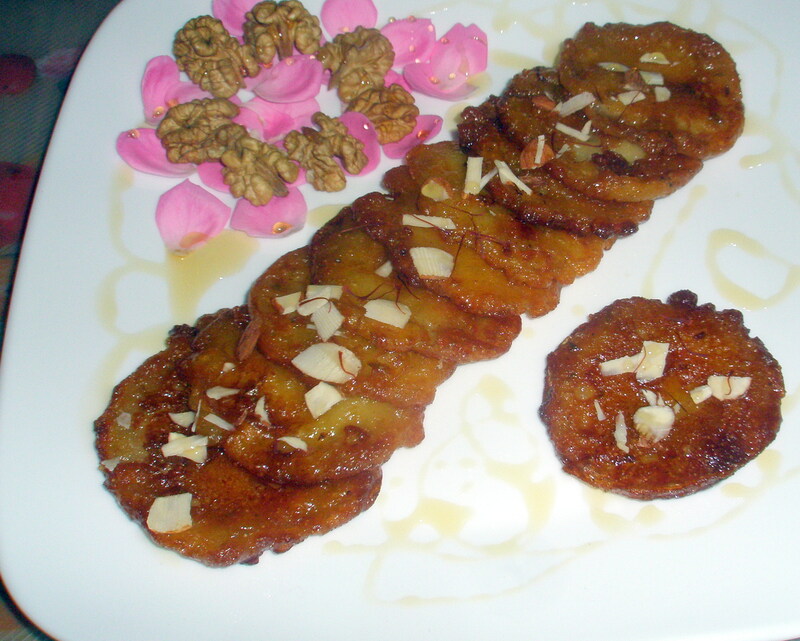 It is served as a dessert in northern India Or Served with mutton as snacks during Holi festival. Mouth watering Malpua is ready to serve.